Cheats for Wordbrain Puzzle Of The Day December 10 2018 Answers – Guess the specific words to find on word brain daily challenge 12-10-2018 from the grid puzzle with different size : 3×3, 4×4, 5×5, 6×6, 7×7 ! Make sure you swipe the words in correct order, or you won’t be finished the puzzle word ! create a day streak and come back again tomorrow for New puzzles daily! 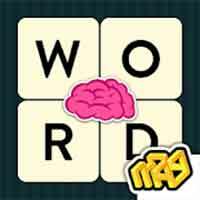 In WordBrain your challenge is to find hidden words in a grid puzzle ! Find the hidden words, slide your finger over them, see the puzzle collapse. Do it all in the correct way and order and you will be able to clear the grid. Continue to the next daily puzzle for tomorrow word brain puzzle of the day december 11 2018 !